April 1, 2014 bcalvanocoachingLeave a Comment on Weekly Angel Oracle Card Reading for March 31 through April 6. Weekly Angel Oracle Card Reading for March 31 through April 6. 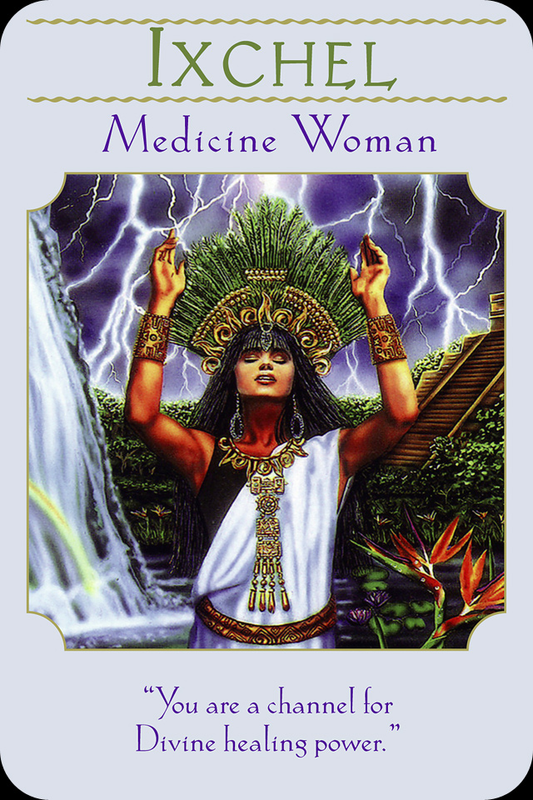 For Monday and Tuesday we have a message from the Mayan moon goddess, IXCHEL: Medicine Woman: You are a channel for Divine healing power. Here Ixchel is reminding us that we are tapped into source energy and that we have the ability and power to heal situations in our lives. By being very clear and mindful of our thoughts we connect to this power. When we embrace our connection we increase and amplify our own energy and power. For this part of the week, know that you and your life’s situations are being healed. If you are a healer it’s time to trust yourself more deeply. Whatever you are going through allow Ixchel to guide and connect you to your true self that is unlimited and filled with grace. 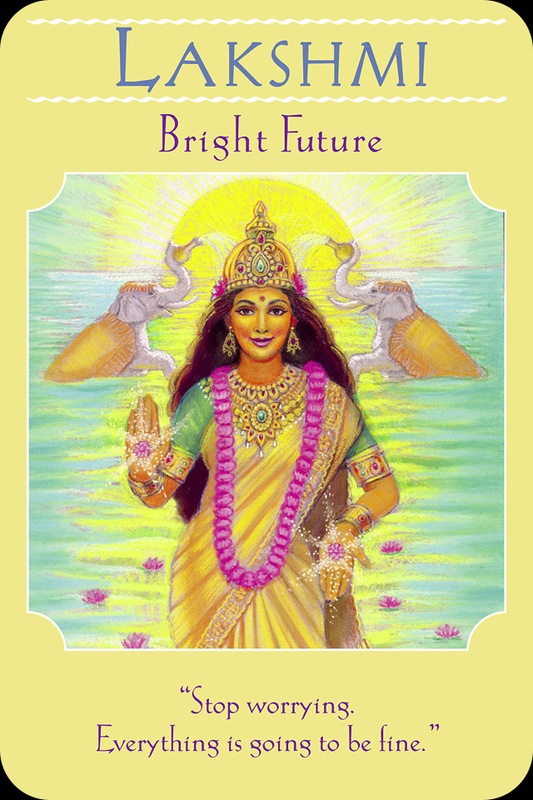 For Wednesday and Thursday we have a message from the Hindu goddess, LAKSHMI: Bright Future: Stop worrying. Everything is going to be fine. As we move to the middle of the week we have Lakshmi also reminding us of our abundance available to us. Releasing negative thoughts and lower energies that are not love and light allow you to be present to the abundance that is all around you. Being vigilant about allowing only positivity is important. Fear and worries only attract more of the same vibration and manifestations. Ask Lakshmi to assist you with keeping your focus on the brighter side of things. Instead of worrying about finances, what’s not working, visualize prosperity and abundance. 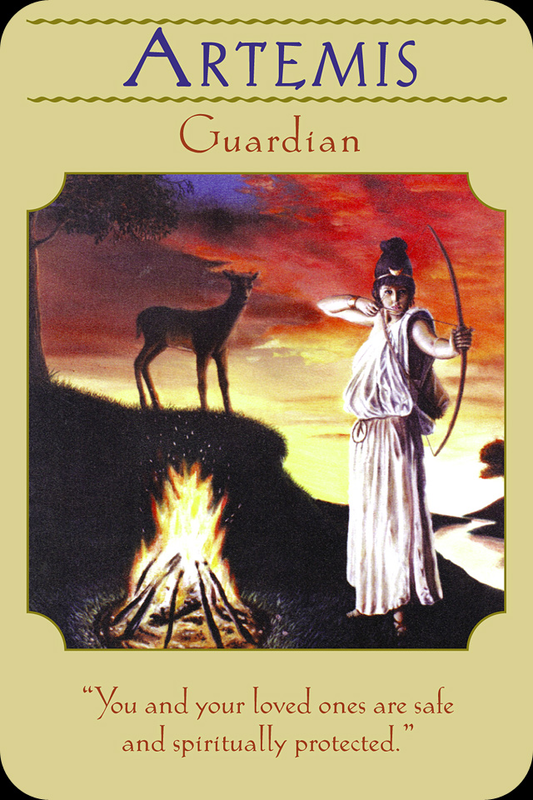 For Friday, Saturday and Sunday we have a message from the Greek goddess, ARTEMIS: Guardian: You and your loved ones are safe and spiritually protected. For the end of the week we have Artemis again reminding us that all of are needs will be met. Let go of worries and anxiety, the worst is over. Her bow and arrow are used as a talisman for focus and concentration and not to hurt anything. Your prayers have been heard and you can ease your mind of worries, concerns and instead focus on your life purpose. It’s a week of being reminding by the Goddesses we are indeed more powerful than we realize. Our thoughts play a huge part in how our life shows up. Practice daily on being focused only on the good with your thoughts, words and writing. (especially on social media). Manifestation first starts in your mind and heart. April will be a powerful month, one that will require us to adhere to our positive daily practices of affirmations and meditation. As always take action without hesitation and delay and know that the angels are with you to protect and guide you! Ask your angels for support always! Have a beautiful week! For more information on how to book your personal reading contact me at bcalvano-coaching@usa.net. Included in my one hour readings I teach how to shield and release energy. I will be at the AWAKEN FAIR June 1, Sunday in Stamford, Connecticut. At the Marriott Hotel & Spa from 10am and 5pm. Stay tuned for pre booking your 15 and 30 minute appointments for readings. I also will be a Speaker giving a 45 minute talk on connecting with your angels! http://www.awakenfair.com! Previous Weekly Angel Oracle Card Reading for March 24 through 30.